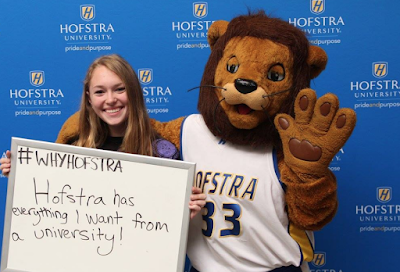 The College Board said Hofstra was a 100 percent match for me in high school. That’s why I started to look here. I visited campus a few times and really didn’t expect it to be so beautiful this close to a big city. The first time I visited Hofstra, it was different from the other schools I had seen. The Pride Guides were really there to get me excited and show me all that the university has to offer. And when I came to orientation, I really had that feeling of “this is where I should be.” It’s clear to me that there are a ton of opportunities not only in the city, but on campus, as well. A lot of colleges say they have a ton of student organizations, but there actually really are so many here. I’m considering doing rowing and pep band!